Don your Batman mask! 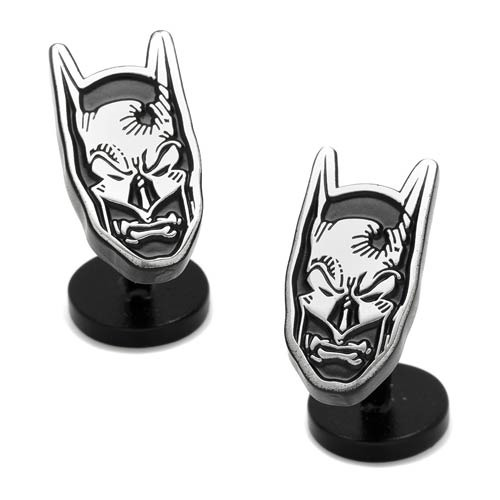 With the Matte Black Batman Mask Cufflinks, you can wear Batman's iconic mask to formal events or anywhere else. Constructed of plated base metal and finished off in matte black, the cufflinks measure approximately 3/4-inches in diameter and feature fixed logo backing. Officially licensed by DC Comics. For ages 14 years of age and older.